I aim to help you discover your optimal movement potential. By offering simple tools which will enable you to find out exactly what works best for you. AND WHY ON EARTH DO I CARE TO DO THAT??? Because I firmly believe the way you are in your body affects the perception of your-self and your interaction with the environment. We are designed to move. "Even though I have been seeing her for 6 years, she is always bringing new exercises and techniques to our classes. " Optimal movement goes beyond fitness skills, hence my aim is to teach you functional, transferable skills, within an holistic approach to movement practice. What you’ll learn with me will support you in your daily life, as enabling your body to move at its best is about restoring health from its foundations, it’s about rediscovering an intuitive way to well being. I’ve spent collectively 20 years studying, researching, practicing and teaching movement in different forms. Amongst the other things I am a certified Pilates Teacher a Thai Yoga Masseur, as well as a self taught Yoga practitioner. I draw from my experience and on going research and hand pick the tools that suit best the needs of each individual client: we are all unique. There is no one regime/ lifestyle/ diet fits them all. And there is no one movement system or technique that is better than others. The opposite: the ability to perform well a variety of movements is keyto developing optimal movement potential. I happen to be better at moving and coaching within certain techniques. However these are intended to support your overall ability to move and physically engage with your environment. There is no quick fix solution either! Ultimately my job is to empower you onto a journey of discovery of your own uniqueness. Help you find out exactly what works for you and give you the tools to develop a consistent and independent practice. I engage with a wide range of clients with different abilities. I aim to empower each and every single one to be as fit at moving as they have never imagined, regardless of their fitness level and goals, age or conditions. I strive to help each of them to do what they need and love doing beyond their expectations, regardless of whether that is simply going for a walk and being pain-free, amateur olympic lifting or a career in contemporary dance. "Monica has been helping me push through the debilitating effects of Ankylosing Spondylitis (AS), without Monica’s help, my spine would have been permanently bent forwards. " Playfulness is key to both optimal learning and well-being. As children what guides us is a constant curiosity for our environment. We play, explore, we want to have fun. As adults we are stuck in what we think we know, and believe hard work is far more effective than fun. We are hard wired into movement and behavioural patterns that not always serve the purpose. 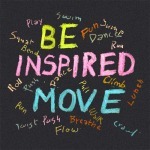 Truly enjoying, as opposed to enduring, your movement practice will offer much more rewarding and long lasting effects. I believe change is good, in fact change is fundamental to life and optimal health. Change has pushed us through the millennia, and fostered evolution. Change moves you from the inside out, and pushes you to find your boundaries…and then pushes them a little further. Yet often we resist change, or we are traumatised by it. You will learn to cultivate resilience: the ability to quickly and healthily adapt to sudden change. discovering the best way of inhabiting yourself. 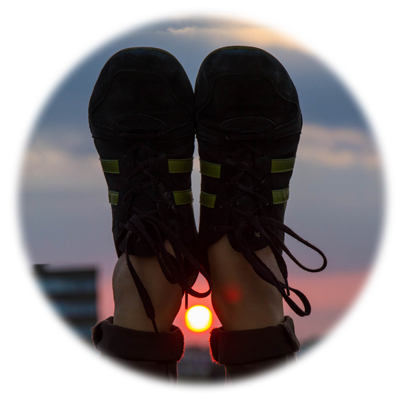 Start now: get inspired, move!